I often get this question from parents I meet, both at LCM events and when I am withMontessori preschooler at local playgrounds. I love this question, and it usually leads me to start talking about the many differences and wondrous benefits of Montessori preschool. Unfortunately, not everybody has the time for an hour-long explanation. 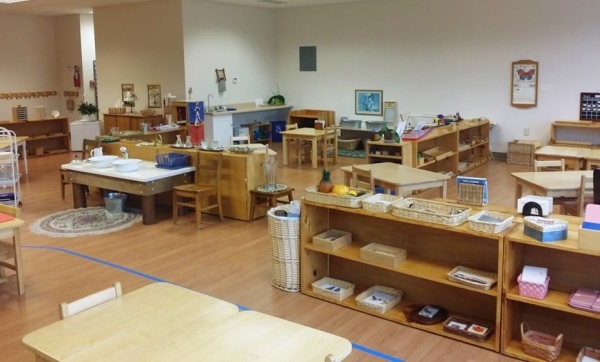 So to make sure I could answer quickly, I distilled my answers to the 3+3 of Montessori preschool, the three obvious differences in how a preschool classroom is run, and the three top benefits a Montessori education offers to children. Since the parents I shared this with found it illuminating, I thought I’d post it online, so other parents looking into preschool options can benefit from it too. Most play-based programs segregate children by age into the 3’s, 4’s, Pre-K and so on. 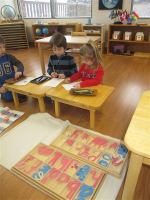 Montessori preschools instead group 3- to 6-year-olds into one class. A child stays with the same teacher for three years. This builds a strong, family-like community, with lasting relationships between child and teacher, and friendships between children of different ages. Young children look up to and learn from older ones; while the 5- and 6-year-olds gain confidence as they become classroom leaders and mentors for their younger peers. Most preschools follow tight, adult-led schedules, with a new group activity every 30-45 minutes. 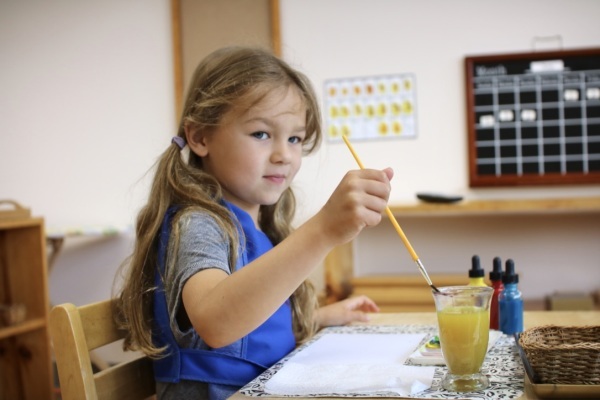 In contrast, authentic Montessori preschools offer long, uninterrupted work periods that allow children to fully engage in tasks that they have chosen for themselves, under the careful, individual guidance of their teacher. Montessori children thus have repeated opportunities to get really engrossed in their activities, and experience regular states of concentrated focus. 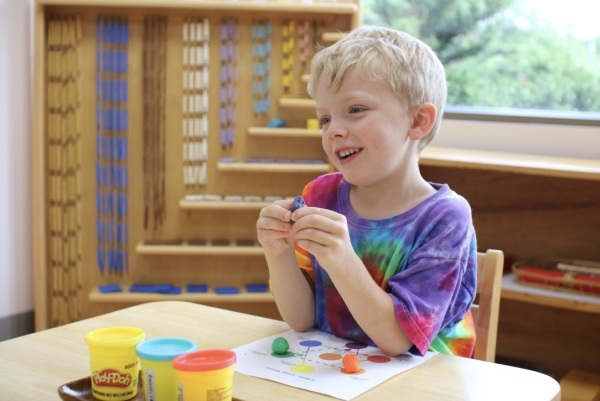 Visit a good Montessori preschool, and you may see a 3-year-old spending 30 minutes carefully arranging color tablets in a rainbow pattern, or a 4-year-old tracing, coloring and labeling a map of the world. As adults, we can’t focus when we know we’ll be interrupted soon; neither can children. Unstructured, child-led time is key in building concentration skills at the foundation of all learning! A carefully sequenced, activity-based curriculum that engages hand and mind. 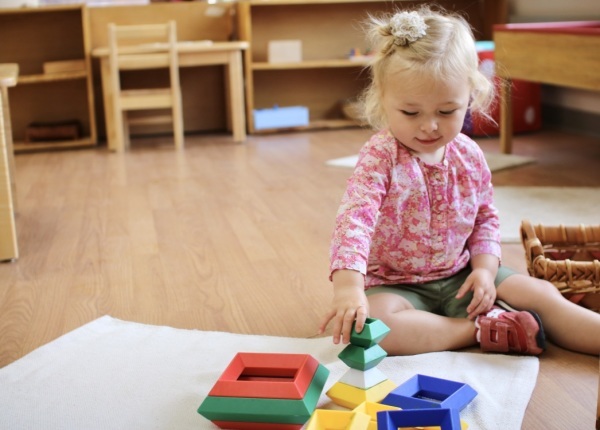 While most play-based preschools have the same type of toys you already have at home—think legos, dress-up corners, coloring pages, trains and blocks—Montessori preschools offer something different to [montessori preschool] your child. Displayed beautifully on low shelves, you’ll find dozens of scientifically designed learning materials: a Pink Tower, Color Tablets, pouring activities, a Movable Alphabet, math materials that teach the decimal system and arithmetic into the thousands, and so much more. Each activity has been selected because children at hundreds of Montessori preschools chose it freely, repeatedly. Each one teaches multiple skills and enables the preschool child to problem solve, to use his hands and all his senses, to repeat an activity and achieve mastery. Montessori children acquire a level of physical and intellectual independence rarely seen in other preschool environments. From day one they learn to take care of their own needs (dressing themselves, preparing snack) and their environment (cleaning up after lunch, taking care of classroom plants and animals.) This daily experience of being trusted with real responsibility for meaningful tasks—and rising to the occasion by successfully meeting that responsibility—results in children who have the earned self confidence that comes from actual mastery (against shaky self-esteem based on empty praise by others.) And because we acknowledge that mistakes are necessary for learning, because we greet spilled water or a broken glass with a calm, constructive attitude, children discover that it’s ok to make mistakes, and that we can and should learn from them. Our preschoolers acquire a growth mindset, a fundament attitude about the world that is invaluable to a joyful, successful life. Recent research shows that executive function skills (self control, organization, time management) are more highly correlated with school and life success than even IQ. 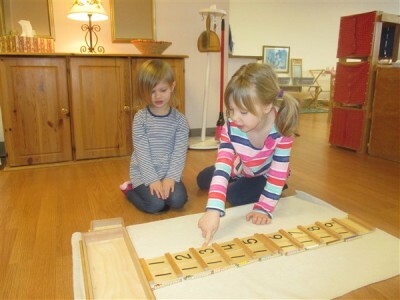 Montessori preschool purposefully [montessori preschool] develops these skills. When a child has to wait for a material another child is working with, or when he stands calmly to observe a friend at work, he practices impulse control. By executing multi-step processes, such as table washing, and by always completing a full cycle of work—from taking a material from a shelf, to doing the activity and replacing it in its proper spot—the preschooler learns organization and problem solving. Grace and courtesy lessons and a daily emphasis on respecting the rights of friends and teachers foster a benevolent environment where pro-social skills emerge naturally.